Check out these titles that we've collected that would make good reading and/or would provide useful reference to your favorite movies and movie stars. Click on the book title to find out more information and to buy from our featured merchants. 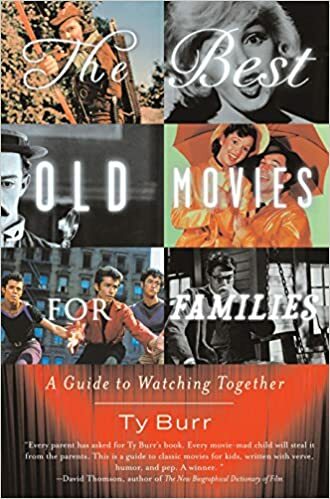 Based on the TCM series, The Essentials book showcases fifty-two must-see movies from the silent era through the early 1980s. Readers can enjoy one film per week, for a year of stellar viewing, or indulge in their own classic movie festival. Some long-championed classics appear within these pages; other selections may surprise you. Each film is profiled with insightful notes on why it's an Essential, a guide to must-see moments, and running commentary from TCM's Robert Osborne and Essentials guest hosts past and present, including Sally Field, Drew Barrymore, Alec Baldwin, Rose McGowan, Carrie Fisher, Molly Haskell, Peter Bogdanovich, Sydney Pollack, and Rob Reiner. This brand-new edition of 1001 Movies You Must See Before You Die covers more than a century of movie history. Selected and authored by a team of international film critics, every profile is packed with details, plot summaries and production notes, and little-known facts relating to the film's history. Each entry offers a fresh look at some the greatest films of all time. Learn the complete history of filmmaking, from silent-era sensations such as D.W. Griffith's controversial The Birth of a Nation to recent Oscar nominees like Star Wars: The Force Awakens and Mad Max: Fury Road. Discover little-known facts about Hollywood's most memorable musicals, greatest dramas, noteworthy documentaries, screwball comedies, classic westerns, action and adventure films, and more. Boston Globe movie critic and former Entertainment Weekly columnist Ty Burr runs through his suggestions for old movies that will appeal to kids of various ages. His approach is that classic movies can be just as enjoyable for kids and families as the more mainstream, no-brainer kids movies that are high on energy but perhaps not so high on quality. FOR THE LITTLE ONES (Ages 3-6): Fast-paced movies that are simple without being unsophisticated, plainspoken without being dumbed down. Singin' in the Rain and Bringing Up Baby are perfect. FOR THE ONES IN BETWEEN (Ages 7-12): "Killer stories," placing easily grasped characters in situations that start simply and then throw curveballs. The African Queen and Some Like It Hot do the job well. FOR THE OLDER ONES (Ages 13+): Burr recommends relating old movies to teens' contemporary favorites: without Hitchcock, there could be no The Texas Chainsaw Massacre, without Brando, no Johnny Depp. Newly revised and expanded, is the official history of the Academy Awards. Following an introductory chapter on the Academy of Motion Picture Arts and Sciences and the birth of the Oscars, the book presents the story of each year's awards, beginning with the very first, for the years 1927-28. Author Robert Osborne surveys the movies in competition, recounts the speculation on various winners, and describes events during the awards ceremony. He also provides a complete listing of the all the nominees and winners in every category. Each year is illustrated with evocative stills from winning films and candid shots from the awards ceremony. Altogether, the book features more than 750 rare photographs, including original movie posters for every best picture. Drawing on Osborne's profound knowledge of film, the Academy's exceptional archives, and the personal reminiscences of stars from Katharine Hepburn to Clint Eastwood, 85 Years of the Oscar is unrivaled in illustration, accuracy, and completeness.